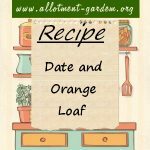 Recipes using oranges in the ingredients. Recipe for Plum and Orange Jam. This unusual jam mixing two very different flavours actually works exceptionally well. Recipe for Old English Marmalade. Makes about 6 lbs (2.7 kg) of marmalade. The traditional marmalade to accompany a great British breakfast's toast. Recipe for Chunky Seville Orange Marmalade. Makes about 6 lbs (2.7 kg) of marmalade. 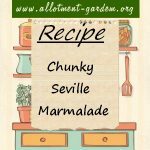 A variation on the traditional marmalade with more body than most. Recipe for Rhubarb and Orange Jam. 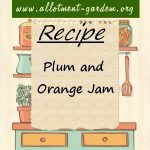 An unusual jam, oranges being more associated with marmalade, but it works well. Makes about 5 lbs (2.5 kg) of jam. Recipe for Orange Jelly Marmalade. Makes about 4 lbs (1.8 kg) The traditional breakfast marmalade flavour without the bits of peel some people dislike.